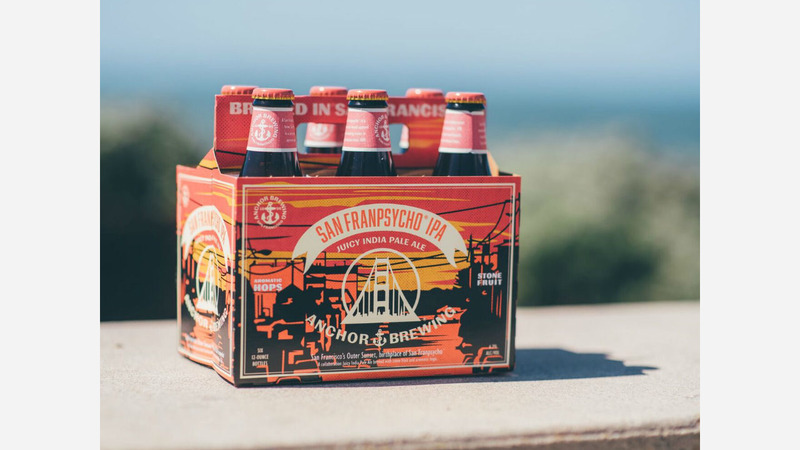 This Friday, Neck Of The Woods (406 Clement St.) will begin pouring a collaboration between Anchor Brewing and San Franpsycho: the San Franpsycho IPA. Billed by its creators as "an IPA with stone fruit-forward hoppiness and a slightly sweet finish that celebrates the city and culture of San Francisco," the beer was batch-sampled successively by tasters through the Anchor Public Taps, which opened last fall. "The name 'San Franpsycho IPA' speaks to San Francisco," read a statement from Anchor, "but specifically to Ocean Beach and the Outer Sunset neighborhood. The label design is a classic view from the Noriega hilltop looking down to the Outer Sunset and Ocean Beach, where San Franpsycho was born." According to Anchor brewmaster Scott Ungermann, special, limited-edition runs may be an increasingly common occurrence for Anchor Brewing. "This is the future for Anchor--to innovate in our special releases," he said. "We're brewing new beers all the time, and we have the feedback from the community. That has let us explore, collaborate and create in new ways." After 8pm on Friday the 13th, stop by for beers and free music by the Down & Outlaws, Eaglewolfsnake, the Ha, and DJ Danny Green. San Franpsycho is also screen-printing a limited-run T-shirt at the event to mark the occasion.